we are so different though we both are looking at the same place "
I can stand the pain cause I can hear you shouting my name"
Your light touches, I forget the reality at once." Curse me, this foolish destiny!" (Thank you. 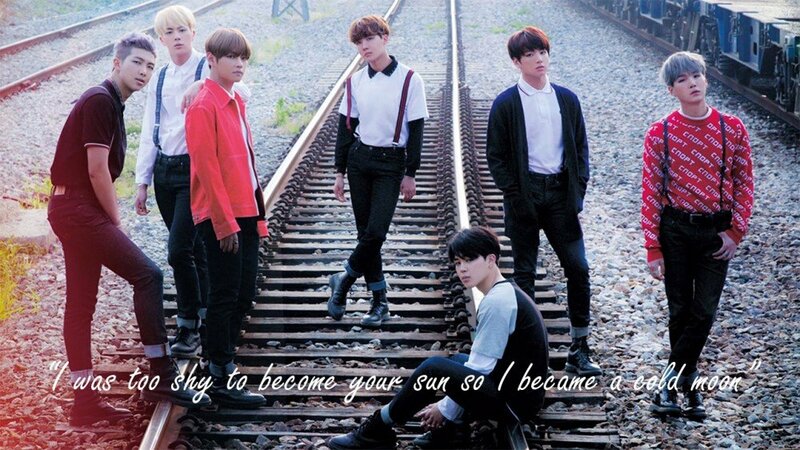 For being 'us')"
You deserve to be loved"
Because that will hurt less than resenting you"
I keep running toward my dream"
In front of your sweet is bitter bitter"
My hand held out to you is destiny"
so I became a cold moon"
What's your favorite lyric(s) from BTS?